News broke recently that the National Portrait Gallery had issued a copyright infringement letter to a volunteer Wikipedia uploader, asking for thousands of images to be taken off of the site. TechRadar contacted the National Portrait Gallery about the situation – the letter the gallery sent was published online – and it believes that Wikipedia's use of high-resolution images is the main problem. "The Gallery is very concerned that potential loss of licensing income from the high-resolution files threatens its ability to reinvest in its digitisation programme and so make further images available," explains the statement. "It is one of the Gallery's primary purposes to make as much of the Collection available as possible for the public to view." 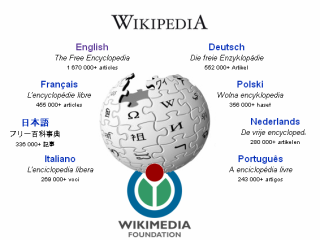 As for Wikipedia's aim for making the images publicly available, the statement continues: "The Gallery supports Wikipedia in its aim of making knowledge widely available and we would be happy for the site to use our low-resolution images, sufficient for most forms of public access, subject to safeguards. "However, in March 2009 over 3000 high-resolution files were appropriated from the National Portrait Gallery website and published on Wikipedia without permission." And when it comes to taking the matter further, the NPG believes that the matter can be discussed, but Wikipedia has failed to do this so far: "To date, Wikipedia has not responded to our requests to discuss the issue and so the National Portrait Gallery has been obliged to issue a lawyer's letter. The Gallery remains willing to enter into a dialogue with Wikipedia." It seems that one of the main issues, the National Portrait Gallery has with the uploading of the images to Wikipedia is that it conflicts with its own plan to get the images online. "The National Portrait Gallery is very strongly committed to giving access to its Collection," notes the statement. "In the past five years the Gallery has spent around £1 million digitising its Collection to make it widely available for study and enjoyment. We have so far made available on our website more than 60,000 digital images, which have attracted millions of users, and we believe this extensive programme is of great public benefit." We'll have more on this story as it happens.